The new Koralia Nano 565GPH features the same compact size as the Koralia Nano 425GPH. Designed especially to work in small reef aquariums, are part of Koralia the new innovative and unique range of circulation pumps for aquariums. 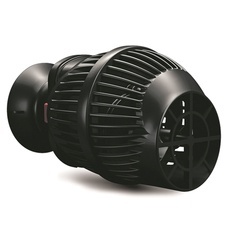 The exclusive Hydor design and technology guarantee a continuous and powerful water flow which can be directed freely thanks to the special sphere shaped connection to the exclusive combination suction cup and magnet support. High performance , low energy consumption and quick and easy maintenance. The combination suction cup + magnet can safely hold Koralia positioned in tanks with glass (or acrylic) up to 10mm – 3/8 inch thick.